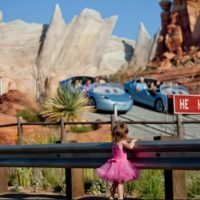 Ready To Start Eating Your Way Through Disneyland? 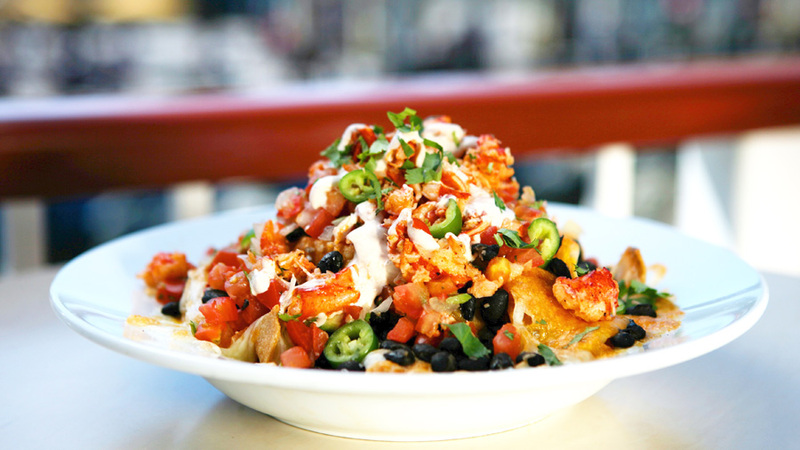 The famous Lobster Nachos is a fan favorite at the parks. 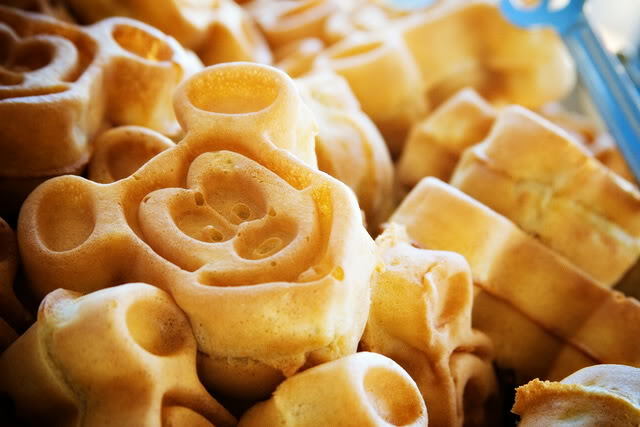 You can still find these for all to enjoy at the newly opened Lamplight Lounge. Check out our dining review to see what this new experience is like. 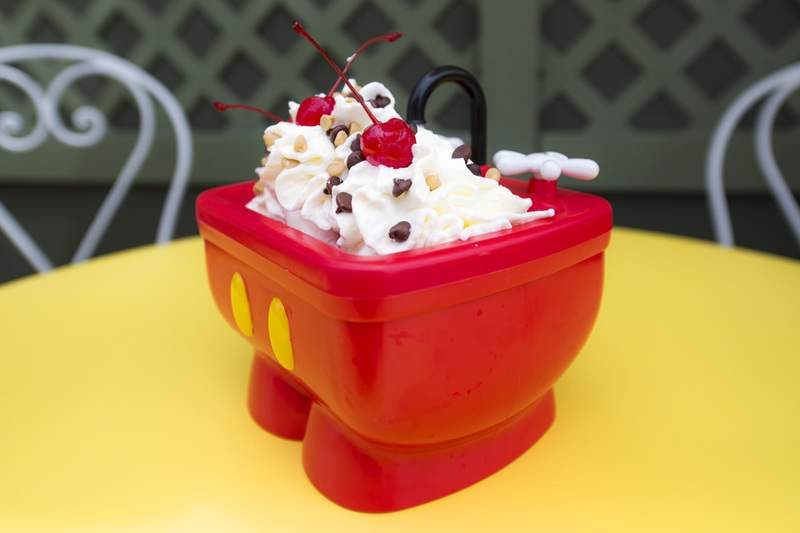 Take your pick from choice of sundaes and get them served in this souvenir kitchen sink. You can find this pile of icecream at Clarabelle’s Hand Scooped Ice Cream in California Adventure. 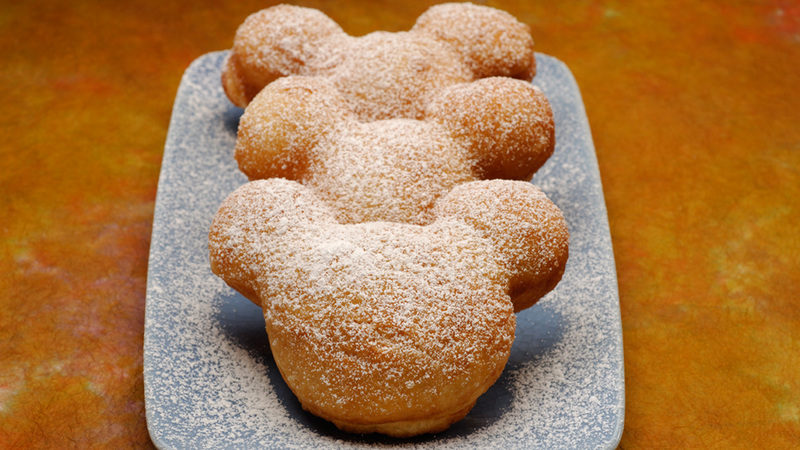 You can’t have a Disneyland food list without including the famous Mickey Beignets. 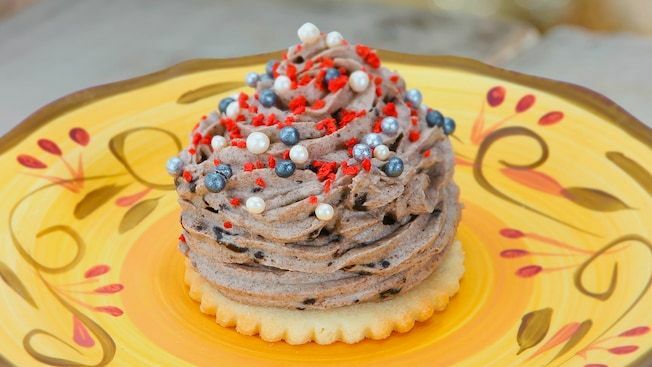 You can find them over at the Mint Julep Bar– make sure to check out their rotating seasonal flavors such as pumpkin spice, candy cane, strawberry, and more. 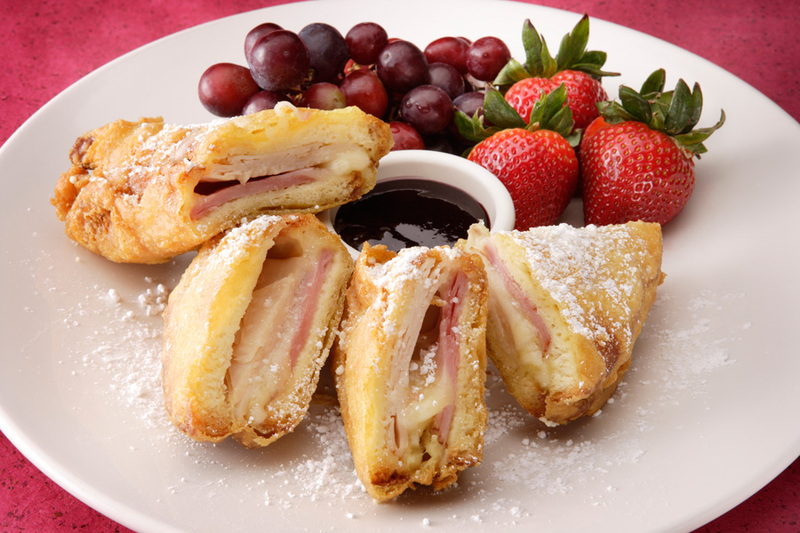 The Monte Cristo sandwich is a staple of New Orleans Square. 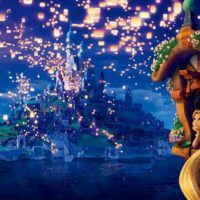 You can find it at the Blue Bayou or at Cafe Orleans. Pro tip: if you’re a vegetarian, ask for three cheese instead of the ham. 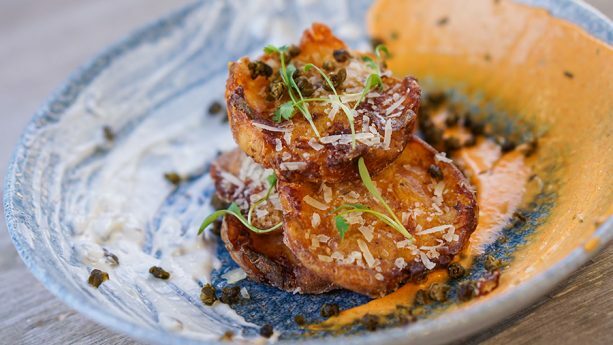 Potato Skins are one of the new dishes served over at the Lamplight Lounge in California Adventure. They are amazing and they photograph well. You can always count on seasonal cake pops for most holidays and summer celebrations. These works of art make for great Instagram pictures. 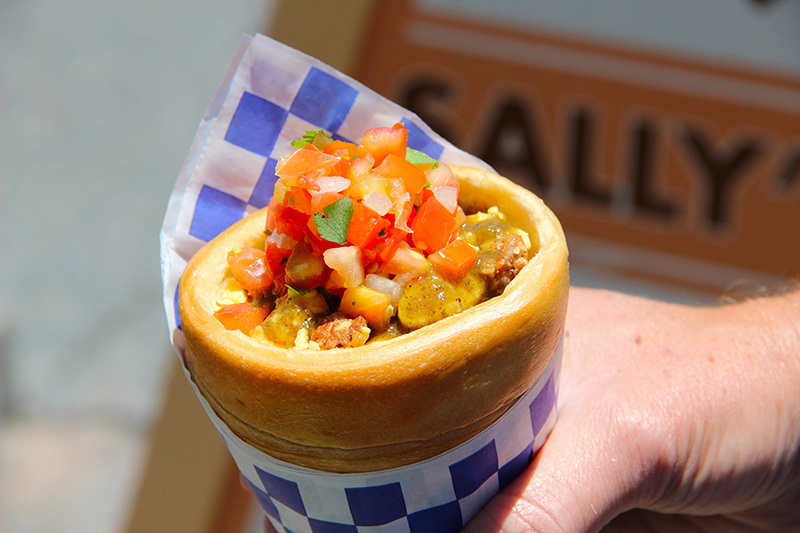 The Cozy Cone over at Cars Land will offer varieties of choices in bread cones that are quite photogenic. And delicious. 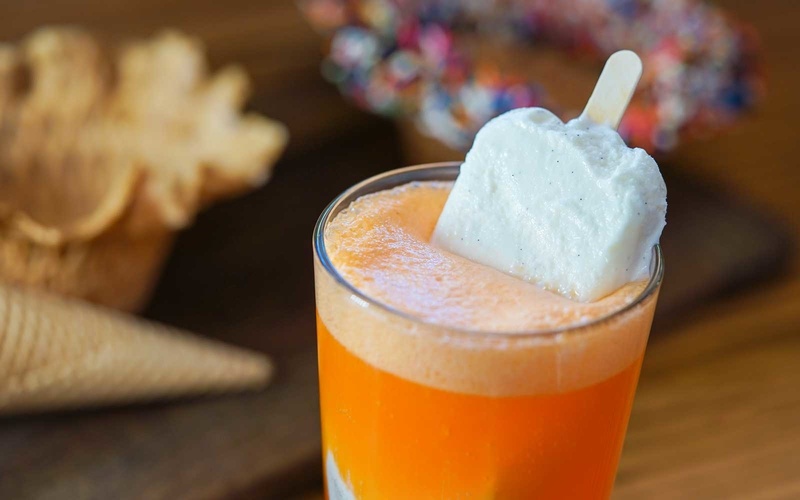 You can find these alcoholic floats over at Clarabelle’s Hand Scooped Ice Cream in California Adventure. Your choice of hard soda and ice cream bar to go with it! 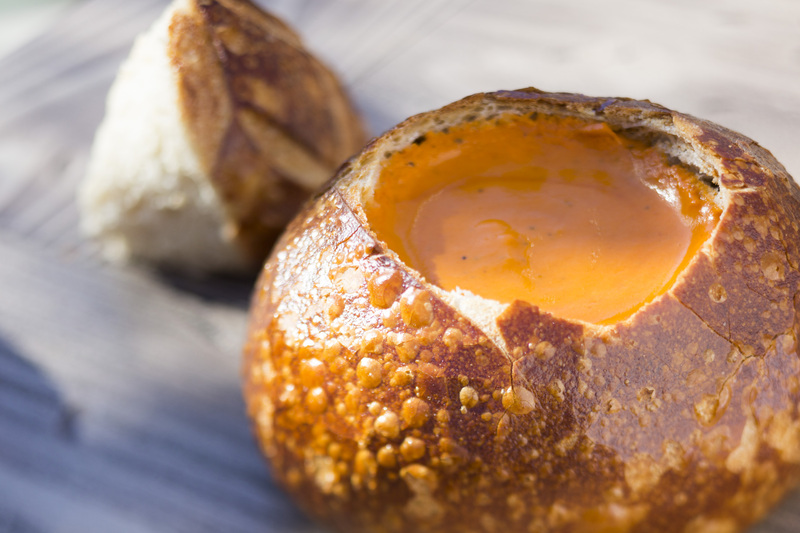 If your mouth is watering just looking at this picture, you should probably make this food item at Pacific Wharf Cafe a must for your next Disneyland visit. The charming Red Rose Taverne in Fantasyland offers so many delicious and Instagram worthy options. 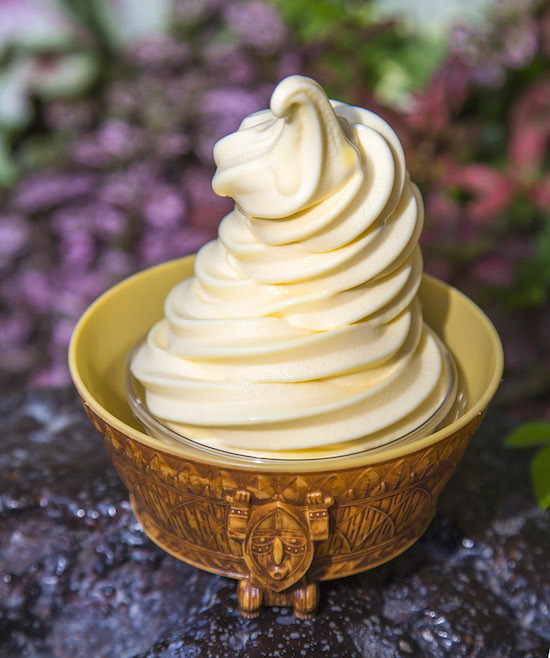 You can’t have a list of photogenic food options without including the famous Dole Whip! The Tiki Juice Bar now offers mobile ordering which is great for helping you get that Dole Whip faster! 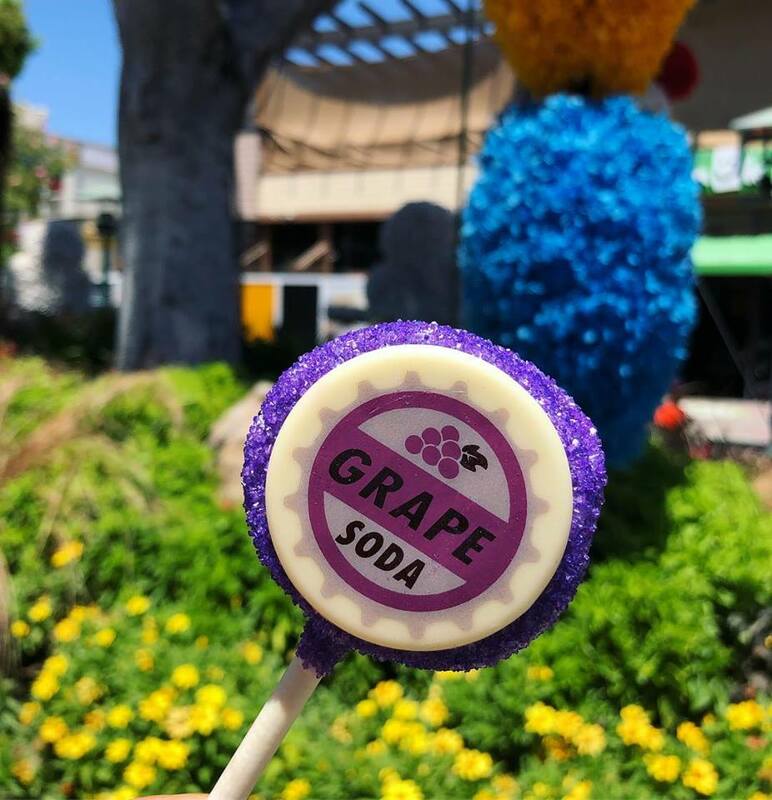 One of the best parts of visiting the Disneyland Resort during a holiday is all the great food and treats you can find in the parks. 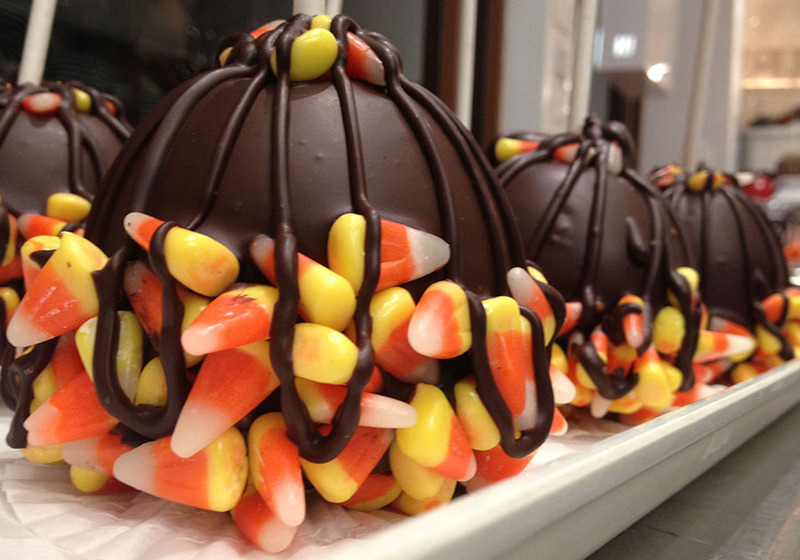 Check out this candy corn apple that is to die for! 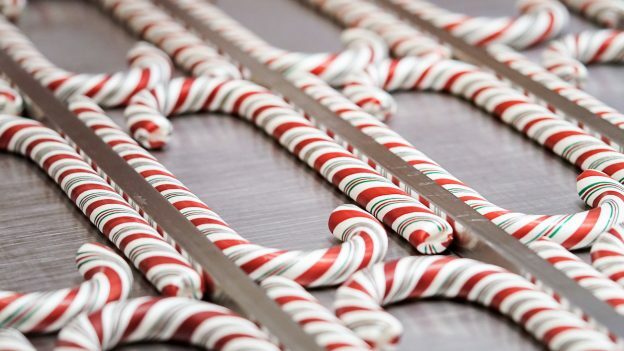 Candy Canes are a big deal at Disneyland during the Holiday season. What makes them so special? They’re made from scratch from the mixing of the ingredients to the hand-pulling. 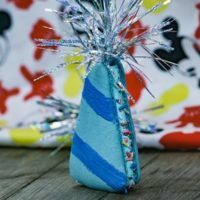 Find out more about Holidays at Disneyland and how to get a Candy Cane here. 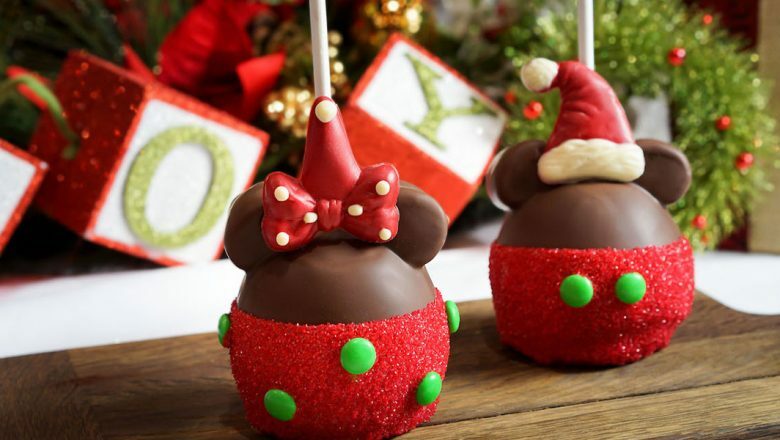 And of course, you can’t forget the Holiday cake pops. 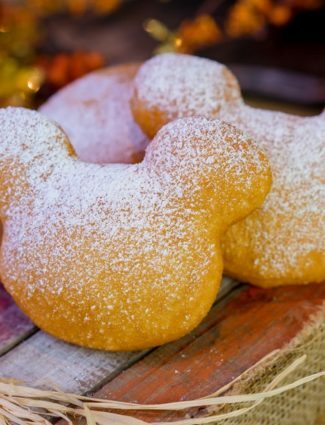 Disneyland goes all out for their holiday celebrations and these treats are some of the most Instagram worthy finds in the parks. Yum! I’m salivating. I want to try everything. Corn dogs maybe aren’t photogenic, but they are a must try. And I am still fondly remembering a Cajun chicken pasta with red cream sauce at the Blue Bayou. Disneyland knows how to tempt and satisfy us. Yum! I would love to be eating that right now. Fab, have had all. Thank You Disney Resort for such care and love. You might have to start back at the beginning to enjoy all these treats again! Monte Cristo just with cheese was so delicious!